We are proud to announce the Iron Pier Mini-LP Series, a collection of mini-albums to be released on limited 12" vinyl and digital download. The first entry, Hollow Sunshine's dark electronic album Bible Sea, will be released July 29th. The second entry, due in stores September 9th, will be Self Defense Family's roiling post-punk record Colicky. More releases will follow in 2016 and in 2017. 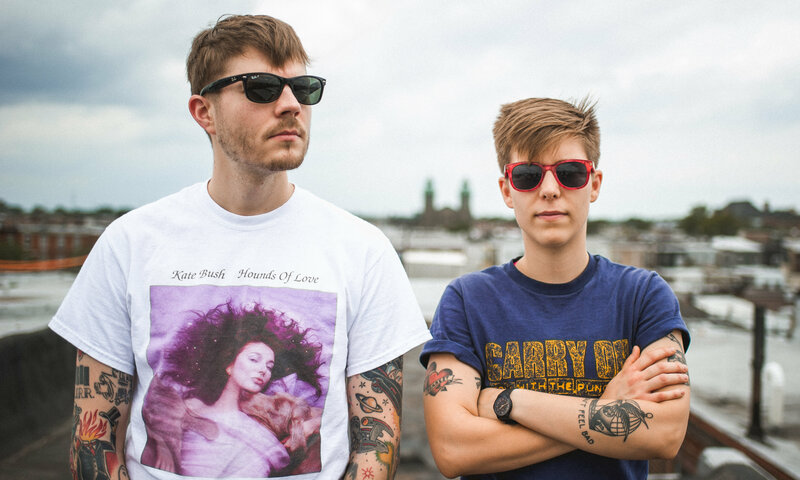 Colicky is the new Mini-LP by acclaimed cult independent band Self Defense Family. A dark, roiling post-punk gem written during a time of personal turmoil, Colicky is the group’s jagged, unflinching look at the disintegration of love and intimacy. The result is a tight and eclectic mini-LP that ranges from cerebrality and coolness to measured chaos. Bible Sea is the new all-electronic record from California's Hollow Sunshine, the duo of acclaimed visual artist Reuben Sawyer (Dry Insides, Florida Man, Blood Bright Star) and Morgan Enos (Other Houses, Hheaven). Iron Pier will release the new record from Mary and the Small Omission, The Effects are Cumulative, on June 10th. Mary and the Small Omission is Mary Brulatour (Self Defense Family) and Steve Price. Together, the duo craft a compelling mix of intimate bedroom dreampop, ambient soundscapes, and electronic loops. Cassette, digital, and merch preorders are up now at Iron Pier. You can check out the premiere and write-up of the music video for "Rabbit Mask" now at Flood Magazine. Wild Moth and the Iron Pier record label are excited to premiere a new music video for the Wild Moth song “Buried,” which comes from the Bay Area post-punk band’s recent full-length, Inhibitor. Featuring stop-motion animation, the video creates a world both grotesque and beautiful and channels the turmoil of the band’s recent life changes. Watch the video for "Buried" now via Impose Magazine or directly on YouTube. Today on our new blog: a collection of songs put together by Alan Huck of Self Defense Family, partially inspired by the band's new release with Iron Pier, When The Barn Caves In and centering on drummers. Alan's photography work graces the front and back cover of the new single, and the B-side, "Alan," is named for him. A multi-instrumentalist, Alan put together a selection of songs inspired by his experience recording When The Barn Caves In titled "No Strings." 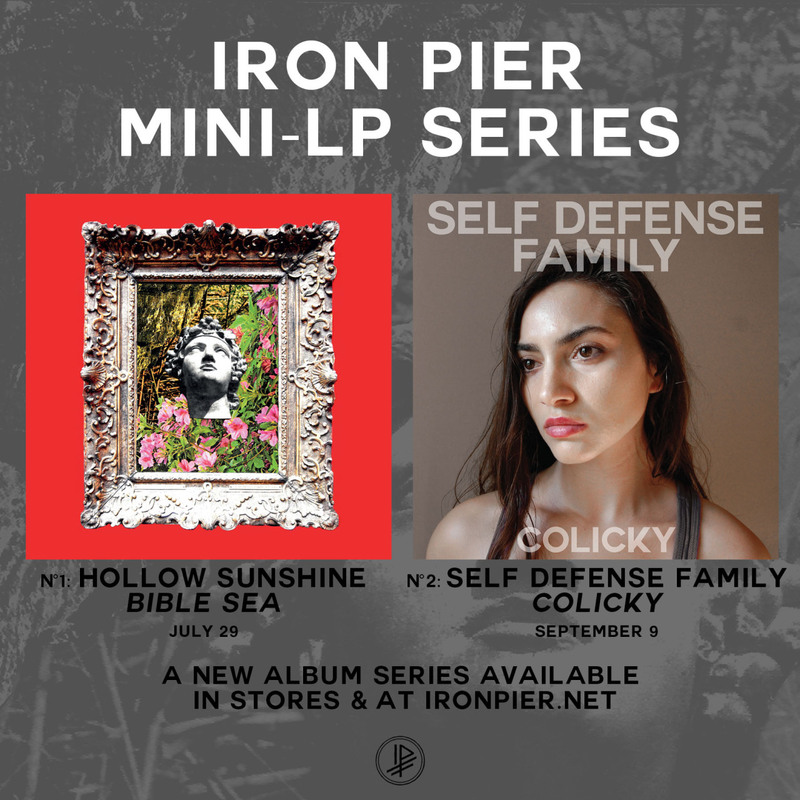 09/07 Self Defense Family Announce New MLP "Colicky"
24/05 New on Iron Pier: Mary and the Small Omission "The Effects are Cumulative"
02/04 Wild Moth Premiere Music Video for "Buried"